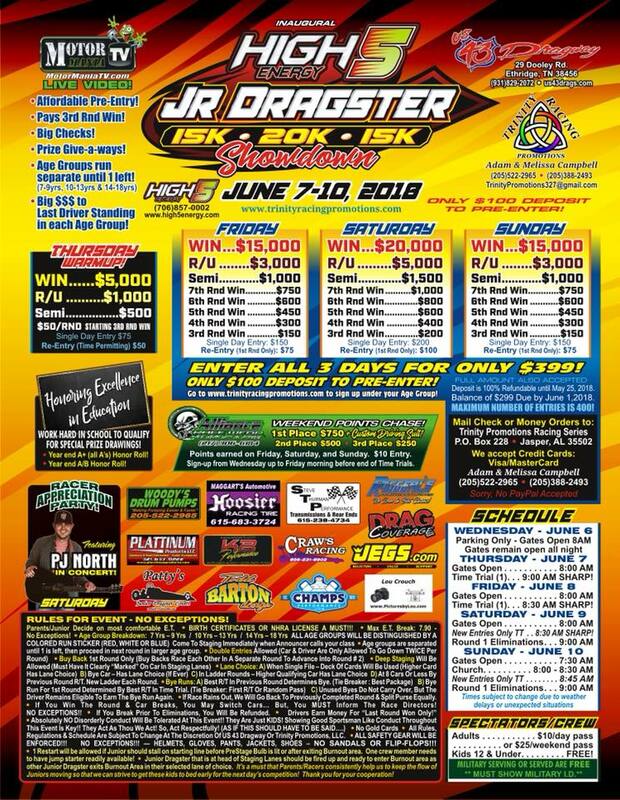 Ethridge, TN - Live Coverage from the High Five Energy Junior Dragster Showdown goes live Thursday at 11:30 am and continues thru the weekend at US43 Dragway in Ethridge, TN. Click Here for Live Video and Chat! 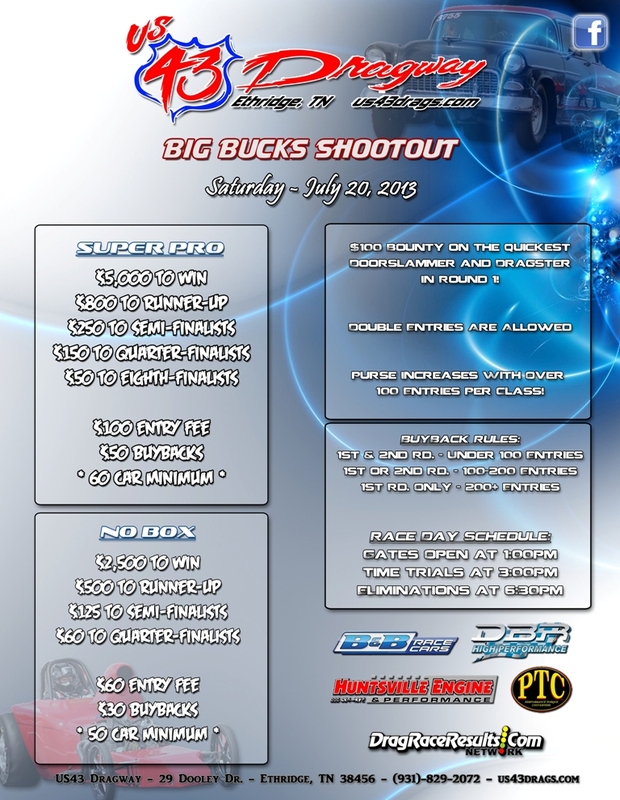 Ethridge, TN - The Inaugural High Five Engergy Jr Dragster Showdown brings "Big Bucks" and a "Big Stage" for Junior Dragster Racers this weekend to U.S. 43 Dragway in Ethridge, Tennessee. Click Here for Race Flyer! 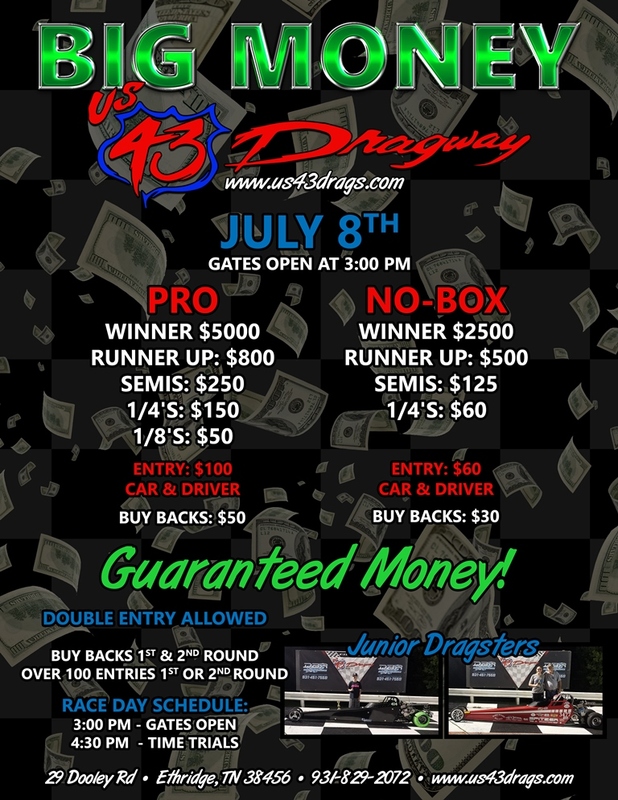 Lawrence County, TN - US43 Dragway will be hosting their BIG MONEY event this Saturday July 8th where a guaranteed $5,000 to win in Pro Electronics and $2,500 to win in No-Box. CLICK HERE for Race Flyer!